this was fun and cute and of course, Jane Austen-ish..
You scored as Edward Ferrars. 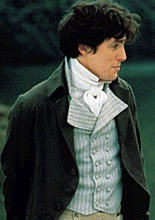 Your husband/boyfriend is like Edward Ferrars of Sense & Sensibility. He is quietly impulsive, with an understated hint of romance. But once you get to know him, he's very affectionate, caring, and faithful. The two of you enjoy a calm, joyful life.